Grayland is located in the southwestern portion of Grays Harbor County, along the Pacific Ocean, about six miles south of Westport. With Grayland waterfront real estate, you may never want to leave home, with such a serene, spectacular setting that includes incredible ocean and wildlife views. You can enjoy all of that at a relatively affordable price point, especially for oceanfront property, and some even come with jaw-dropping views from all levels with a price tag of under $500,000. If you’re really looking for a steal, it’s not uncommon to score vacant oceanfront land that’s ready to build your dream home for well under $200,000. Bring those plans and look forward to enjoying all of the beach combing, surfing, clamming, fishing, kite- flying and other activities whenever you’d like. With Grayland waterfront real estate, you’ll be able to smell that fabulous salty sea air, enjoy being peacefully lulled to sleep by the sounds of the waves, and soaking up those amazing vistas, including watching the winter storms, right from the comfort of your own home. Just minutes away in Westport, look forward to purchasing fresh fish and other seafood direct from the fishermen at the marina for oceanfront dining at home or going out for meals at multiple eateries scattered throughout the peninsula. Right in Grayland is the Local Bar & Grill, a fun and tasty spot for food and drink along Grayland Beach, with pool tables and TVs for watching the game with friends. 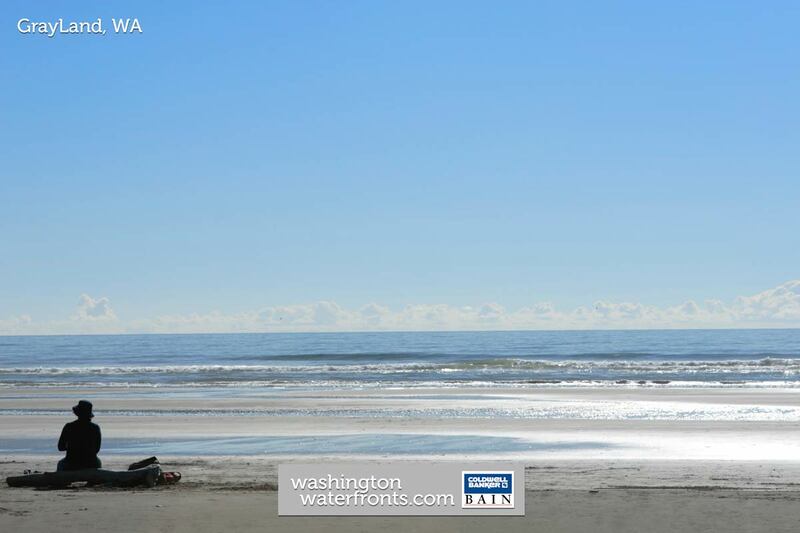 Washington’s west coast is surprisingly unpopulated, despite the myriad of activities and views it offers, so if you’re looking for an alternative to crowded, high-priced oceanside living, Grayland is an ideal choice for a vacation retreat or a year-round home. If you thought coastal living was out of reach, search here and you’re sure to be pleasantly surprised. Take advantage of our industry-leading tools to make your property search as easy as possible and be sure to register for a FREE account so that you can receive email alerts whenever new Grayland waterfront real estate for sale hits the market. If you're seeking to sell your Grayland waterfront property, contact our Waterfront Specialists directly for a comprehensive listing analysis and to learn more about the cutting-edge marketing strategies we'll use to sell your home quickly for top dollar!